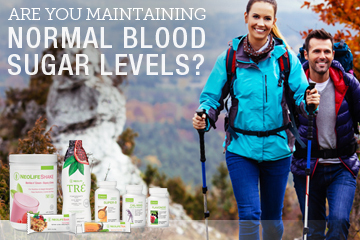 Are You Maintaining Normal Blood Sugar Levels? The latest statistics show that diabetes affects nearly 350 million people worldwide, with 90% of them having type 2 diabetes! In the US itself, the number of people with type 2 diabetes is 29 million, not to mention the pre-diabetes statistic which is a staggering 86 million! It’s clear that this disease doesn’t discriminate…or does it? Our lifestyle plays a HUGE role in our health and well-being! Choosing the right foods and getting adequate exercise can reduce our risk factors. Whether you are wanting to live a healthier lifestyle, or are staying fit to get ready for summer time fun and beach ready physiques, don’t miss out on simple and practical tips that can help support normal blood sugar levels!